Many contracts are considered multiple-element arrangements which require the fulfillment of multiple performance obligations. Step four in the five step revenue recognition process requires that entities allocate the transaction price to each performance obligation in proportion to the standalone selling price of each performance obligation. The standalone selling price is the price at which the entity would sell a promised good or service separately to a customer. The new revenue standard requires that all standalone selling prices be estimated if the selling price is not readily observable. The remainder of this paper will discuss how to estimate standalone selling price, an example of the estimation process and allocation of the transaction price, and what significantly changed from Accounting Standards Codification (ASC) 605 to ASC 606. 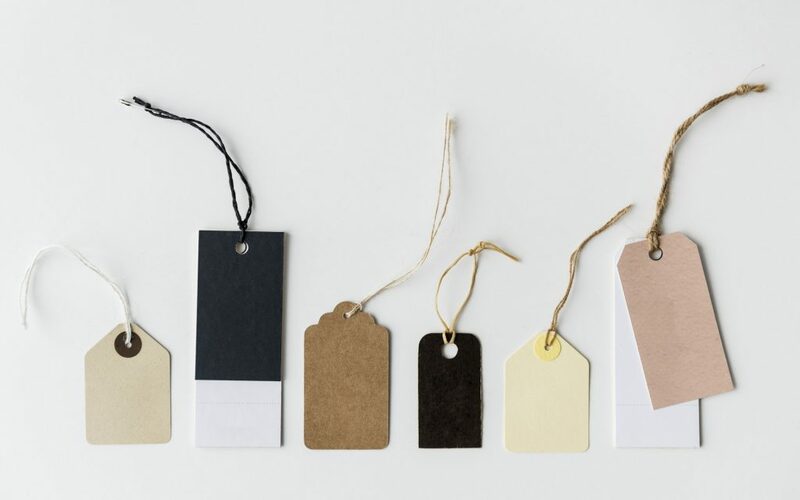 The best evidence of standalone selling price is the price that the entity charges for the good or service in a separate transaction with a customer. However, in many cases goods or services are sold exclusively as a package with other goods or services rather than on an individual basis (e.g. nonrenewable customer support). In these cases, the standalone selling price must be estimated. The revenue standard does not prohibit any method for estimating the standalone selling price, as long as the estimation results in an accurate representation of what price would be charged in a separate transaction. Adjusted market assessment approach- considers the market in which the goods or services are sold and estimates the price that a customer of that market would be willing to pay. This method is suitable in situations where a competitor offers similar goods or services to use as a basis in the analysis. Expected cost plus margin approach- considers the forecasted costs of fulfilling the performance obligation and adds margin at the amount the market would be willing to pay. This method may be most suitable in situations where (1) the demand for the good or service is unknown and information on the demand for similar goods or services from competitors is not available and/or (2) the direct fulfillment costs are clearly identifiable. Residual approach- allows an entity that has observable standalone selling prices for one or more of the performance obligations to allocate the remaining transaction price to the goods or services that do not have observable standalone selling prices. The sum of the observable standalone selling prices are deducted from the total transaction price to find the residual estimated standalone selling price for the goods or services that do not have observable standalone selling prices. The residual approach can only be used if (1) the entity sells the same good or service to multiple customers for a wide variety of prices (highly variable) or (2) the entity has not established a price for that good or service and the good or service has not been sold previously on a standalone basis. The residual approach is intentionally limited to ensure that companies first attempt to utilize another acceptable method to reach a reasonable estimation. Regardless of the approach used, the standalone selling price must be determined at the outset of the contract and should not be updated to reflect changes between contract inception and when performance is completed, with the exception of contract modifications (for more information see Contract Modifications). Management needs to consider all information and maximize observable inputs in determining which approach to use. For example, although an entity may not sell an item on a standalone basis or have a price for that item, it should first consider any available information from competitors to make an estimate before relying on the residual approach. The actual price charged to customers rarely can be represented by a point estimate, but may fall within a range of numbers over time. One method of determining standalone selling price for observable prices is to analyze the entire population of standalone sales (or stratified sections of that population) to find a narrow range of prices where a substantial majority of standalone sales occur. Judgment will be involved in deciding which point in the range to use for the practical purpose of allocating consideration. Once a point in the range has been chosen, generally that point should be consistently applied to all similar transactions. The following example illustrates how to estimate the standalone selling price using each of the three approaches mentioned above. Vendor Y sells two items: product A and telephone support. Product A is a tangible product used in a production process. Telephone support is available for one year after delivery of all products. On January 1, Vendor Y enters into an arrangement with Customer U to provide Product A on February 1. Telephone support also begins on February 1 and lasts for one year. Total arrangement consideration is $6,000, due on delivery of product A. Telephone support does not have an established price and is not sold separately to customers. Assume that the customers do not renew the telephone support after year 1 (i.e. there are no standalone sales of support). Vendor Y concludes that it has enough information on past selling prices to customers on Product A to support a standalone selling price. The majority of sales of product A to customers in the same region as Customer U were within the range of $5,000 to $5,500. Vendor Y decides to use the lower end of the range to establish standalone selling price. The telephone support has not been sold on a standalone basis and will have to be estimated. Adjusted Market Assessment Approach. Under the adjusted market assessment approach, Vendor Y searches for competitors that sell similar telephone support services on a standalone basis. Assume that Vendor Y finds information that two competitors are selling these services on a standalone basis between a price range of $1,200 to $1,500. Based on this information, Vendor Y should consider the price that it could charge similar customers based on a number of factors: market share, expected profit margin, customer/geographic segments, distribution channel, etc. After considering these factors, Vendor Y estimates that it could sell the telephone services for $1,250 to customers with a similar profile to Customer U. The estimated standalone selling price would be $1,250 under this approach. Expected Cost Plus Margin Approach. Under the cost plus margin approach, Vendor Y determines all of the direct and indirect costs associated with providing the telephone support. The costs considered include, but are not limited to, the personnel employed to provide the support, the costs to provide the telephone lines, the telephones and computer equipment needed to provide the support, etc. After considering all these costs, Vendor Y concludes that the telephone support will cost $900. After determining the cost, Vendor Y should determine an appropriate margin that the market would be willing to pay by considering a number of factors, including: industry sales price averages, market conditions, profit objectives, margin achieved on similar products, etc. After considering these factors, Vendor Y determines an appropriate margin in the industry would be $500. The estimated standalone selling price would be $1,400 under this approach. A combination of methods may be used together to determine the standalone selling price for each performance obligation that does not have an observable standalone selling price. ASC 606-10-32-35 states that in some situations the residual approach may be used to determine the aggregate standalone selling price of two or more goods or services with highly variable or uncertain standalone selling prices. Once the aggregate residual amount is determined for those goods or services in total, other estimation methods (adjusted market assessment, cost plus, etc.) may be employed to determine the standalone selling price of those goods or services on an individual level. Vendor-Specific Objective Evidence (VSOE): information about a vendor’s own standalone sales. This is conceptually the same as observable standalone selling price. Third-Party Evidence (TPE): information related to standalone sales by a different vendor. Best Estimate of Selling Price (BESP): an estimate that can be used to allocate revenue even when standalone sales of a good or service are nonexistent. ASC 606 removes the requirement to follow the relative selling price hierarchy. For most industries, the new standard will not significantly alter the current process of establishing standalone selling price. While the term VSOE is not contained in the new standard, “observable prices” should still be considered first before applying any other form of estimation. TPE was rarely used in practice due to the difficulty of retrieving competitors’ information. Most companies used BESP when VSOE did not apply. Again, the term BESP is not contained in the new standard, but by eliminating the relative selling price hierarchy, entities are essentially using BESP when observable standalone selling price does not apply. While ASC 985-605 provided additional industry-specific guidance for a number of transactions, the new standard uses the same approach regardless of the industry or type of transaction. This will be a significant change for industries that were required to follow the additional guidance, especially the software industry. One of the biggest changes for the software industry is the elimination of the requirement to establish VSOE of fair value, as discussed above. Eliminating VSOE simplifies the estimation process, which will impact all undelivered elements in a software contract. For entities that are currently unable to establish VSOE for undelivered elements, the implementation of ASC 606 will accelerate revenue recognition. For example, consider a transaction involving a software license that is sold for $250. The contract provides that two updates to the software will be made available throughout the year at specified dates. The license is regularly sold for $200, but the updates do not have an observable standalone selling price. Under ASC 985-605, the absence of VSOE for the updates requires the entity to combine the software license and updates as one performance obligation. The $250 of revenue is deferred until both of the updates to the software have been delivered. However, under ASC 606, the updates are considered a separate performance obligation and the entity is allowed to use an estimation method or the residual method to determine the value of the updates. Assuming the residual method is used, the entity would recognize $200 of revenue at the time the customer has access to the licensed software and the remaining $50 of revenue would be split between the two updates; $25 would be recognized on the date of the first update and the remaining $25 on the date of the final update. In similar transactions, revenue will be recognized earlier under ASC 606 than ASC 605. It can be used to develop an estimate of the standalone selling price rather than just to allocate the transaction price to a performance obligation. It can be applied to both delivered and undelivered items to determine the standalone selling price. Applying this method to undelivered items in an arrangement is known as the reverse residual method. It requires only observable standalone selling prices of other goods and services in the contract to be applied rather than establishing VSOE for all undelivered items. In ASC 985-605, if VSOE could not be established for each of the undelivered items, revenue couldn’t be recognized until the earlier of when (1) VSOE existed or (2) all items were delivered. The new revenue standard simplifies this process allowing for earlier recognition of revenue in some circumstances. Considering these changes, the broader application of the residual method under the new standard will allow for larger amounts of revenue to be recognized earlier, especially in the software industry. The non-observable price hierarchy has been removed to allow any reasonable estimation method. The new standard applies the same guidance for all transactions in all industries, removing the need for industry-specific guidance on standalone selling price. The residual method can be applied to all transactions that meet the requirements in the new standard, rather than the narrow application allowed in the software guidance in ASC 985-605. These changes should result in a more consistent application of the standalone selling price guidance across all industries. Most companies’ process for estimating standalone selling price will not change significantly because the new standard aligns with what is already being practiced. Some industries, software in particular, may notice a significant change in the process of estimating standalone selling price. This may lead to recognizing more revenue at an earlier period of time.